﻿﻿Stair Lifts are the bread and butter of what we do in Memphis.... We at Stair Lifts Memphis are driven with a passion and a skill to effectively help our customers reach the higher quality of life they have been striving for. Shopping for these items and making these kinds of decisions is not always an easy thing to do, we understand that. We aren't here to pressure you in to a sale or do a poor job and move on to the next one. We want to be here for you. We want you to be happy. And most of all, we want you to be able to love your house again. Our technicians are the most professional in the city when it comes to being in your home and installing these devices, they will make sure it exceeds all standards of safety, and make sure you the homeowner are completely confident in operating before we pull off site. When looking for a home stair lift you will have many questions, especially if you have not bought one before. Please rest assured that when you call us, we want to help walk you through the process in as much detail as possible. Call now to set up your appointment! Our process begins with setting up a convenient time for you to come out and look at the space or home that you are looking to modify. Our Estimator will help walk you through the process that is going to take place and will get some much needed information to put together an accurate quote for your home lift, he may also have some specific preference questions for you that we need to know as well. We deal with all the major manufacturers like Acorn Stair Lifts, Bruno stair lift, Stannah, Sterling, and Harmar. So if you already have a preference just let us know. The shape and design of your stairs is really the biggest determining factor to what kind of product will need to be installed, and how it needs to be installed. We will discuss those differences with you and assess the need that best fits your home and situation. Rest assured we are not just a dealer, we are a one stop shop for all your accessibility needs. We do all the purchasing and delivery and install, all you do is sit back and enjoy the ride up your stairs on your new stair chair! ﻿That's right! I said it, in today's technological age we have come to the time where we have battery powered options. There are certainly pros and cons to either device and will certainly come down to preference and confidence in the product since you will be the one personally relying on it day in and day out. But it is an important discussion to have and our representative will go over all of that with you. Maybe your need is not as much long term, maybe you have somebody visiting that requires one only for a couple weeks or a relative living with you for only a short while. 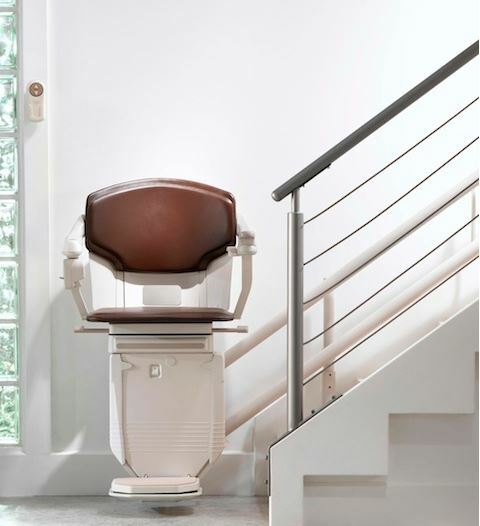 Call 901-612-2412 and ask our stairlift company representative about our rental stair lift options. ​﻿Look, don't worry. This is not our first rodeo and it won't be our last. We know the cost of these devices can add up, and put a strain on you. It is unfortunate because this product is not necessary a luxury or a commodity. By the time we get to our customers it is usually a need, and Medicaid is all too often of no help or assistance in the matter. So we have some networks we are a part of as well as some different options to make the financial part MUCH easier on you when purchasing a Memphis Stair Lift. We strive to make your lives easier, not harder.